Put simply, if you're into sour beer, there's no other place to go than SE Belmont. There are other great things about this barrel house - like the outside picnic table seating and the food - but the real star of the show is the selection of rare and experimental brew. 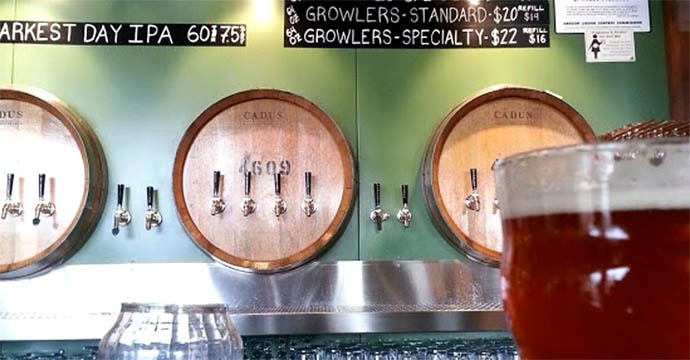 Don’t expect to see the same Portland IPA show on tap at this bar;instead explore some limited releases from the cellar that you won't see anywhere else in town (939 SE Belmont St; 503-265-8603).